Anubiscrypt ransomware is a file locker that not only locks up personal data by appending .AnubisCrypt file extension on the device, but also incorporates screen-locking functionality. Additionally, it can steal the most sensitive information for the phone or tablet without users noticing. Thus, the malware is exceptionally devastating, as it can lock users out of their Android phones until the threat is terminated. The distribution method of the virus is relatively simple – hackers use Google Play service to insert fake financial, shopping, barcode-scanning or similar apps, that are mainly directed towards Turkish users. Anubiscrypt ransomware removal might be extremely complicated as most users will not be able to access their devices due to screen-locking feature. However, in this article, we will try to bypass this feature and terminate the threat permanently. Other features Steals credentials, works as RAT, records keystrokes, intercepts SMS, etc. Anubiscrypt ransomware stems from Anubis banking trojan that was first spotted around a year ago. It works very similarly to a variety of info-stealers, such as TrickBot, LokiBot, Zeus virus or Gustuff. The initial version of the malware did not possess the screen-locking capability, while the newest version, which was discovered by ESET security researcher Lukas Stefanko, does. Nevertheless, users can bypass the locked screen by entering Safe Mode. Unlike most ransomware payloads, Anubiscrypt uses a sophisticated infection method – it populates malicious applications on the Google Play. Financial or shopping apps look just like any other applications, so regular users would never notice the difference. Once one of such programs is installed on Android device, Anubiscrypt starts functioning as a downloader by utilizing REQUEST_PACKAGE_INSTALL function by contacting a Command & Control server controlled by hackers. Nevertheless, before the downloading procedure is executed, the app waits and does not perform any actions for a long time. This allows AnubisCrypt malware to bypass regular Google safety procedures. Once the malicious payload is downloaded, a variety of information can be lured out of users, including those of PayPal, eBay, or banking app credentials For that, Anubiscrypt uses keylogging feature or takes screenshots of the login information (TrendMicro researchers confirmed that the malware targets 377 banking apps worldwide, including NatWest, Santander, Citibank, and others). It is unknown which encryption algorithm is used to lock up personal files on the device, but all of them are marked with .AnubisCrypt extension, which prevents users from further use of data. After that, the malware locks up the screen, which might make most users panic. 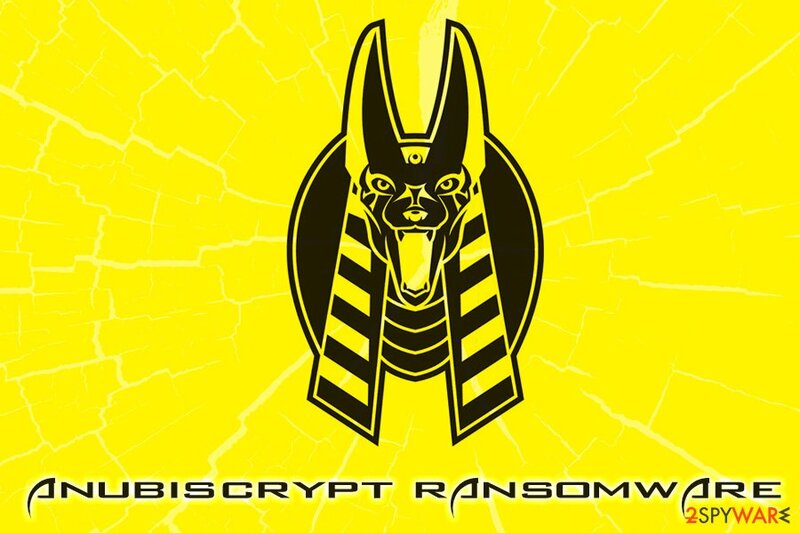 Nevertheless, to AnubisCrypt ransomware removal can be performed after the device is booted into Safe Mode – we explain how to do that in the last section of this article. After you terminate Anubiscrypt ransomware, experts recommend scanning your Android device with Reimage – it can fix damaged system files and remove virus damage. The only way to restore your data is by recovering them from a backup; hence, you should always enable the backup feature on Google Drive. It is not the first time Google removes malicious apps from the Play Store. For example, the industry giant removed 85 adware apps that infected over 9 million users. In another case, Kotlin-based malware was detected and downloaded up to 5,000 times. The app was called Swift Cleaner – another example of useless Android cleaning utilities that turned out to be malware. In fact, most security apps turned out to be ineffective, based on research done by AV-Comparatives researchers. Nevertheless, Google tries to tackle the problem by increasing the defenses used by its scanner, which already resulted in a 66% increase in rejected app volume in 2018. However, the risk of downloading malicious applications from third-party sites is by much higher. For that reason, it is highly advised staying away from unknown sites that host applications and rely on those that are present on the official stores, such as Google Play, Amazon, or similar. Additionally, to protect your phone from malware, make sure you install reputable security software. Also, make sure you backup all your pictures, videos, and other data of Google Drive, DropBox, or similar cloud services. The phone will ask if you want to access Safe Mode – tap Yes. Once inside the Safe Mode, download and install a reputable security application that can detect malware. For example, Trend Micro detects it as ANDROIDOS_BANKBOT, while Sophos uses Andr/Banker-GUZ name. After you remove AnubisCrypt file virus, you can recover your data from backups. Otherwise, you might as well say goodbye to your pictures, videos, and other data. Nevertheless, security experts might one day come up with a decryptor, so do not lose hope, and keep backups of locked files. If Anubiscrypt ransomware removal fails, the only option is to perform a factory reset. Simply use instructions based on your Android phone model. In most cases, the factory reset option is located under System option in the Settings menu. Log in to your infected account and start the browser. Download Reimage or other legitimate anti-spyware program. Update it before a full system scan and remove malicious files that belong to your ransomware and complete Anubiscrypt removal. When a new window shows up, click Next and select your restore point that is prior the infiltration of Anubiscrypt. After doing that, click Next. Once you restore your system to a previous date, download and scan your computer with Reimage and make sure that Anubiscrypt removal is performed successfully. ^ BankBot Found on Google Play and Targets Ten New UAE Banking Apps. Trend Micro. 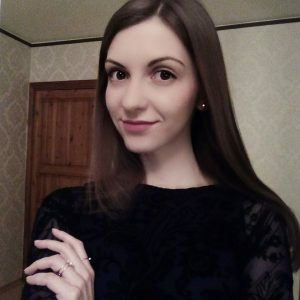 Cybesecurity research blog..
^ Lindsey O'Donnell. Google Play Cracks Down on Malicious Apps. Threat Post. The first stop for security news. This entry was posted on 2019-04-10 at 06:09 and is filed under Ransomware, Trojans, Viruses. You can quickly scan the QR code with your mobile device and have Anubiscrypt ransomware manual removal instructions right in your pocket. How did you remove Anubiscrypt virus?